World Trade Center Cortlandt Street is the latest New York tourist attraction in Manhattan. 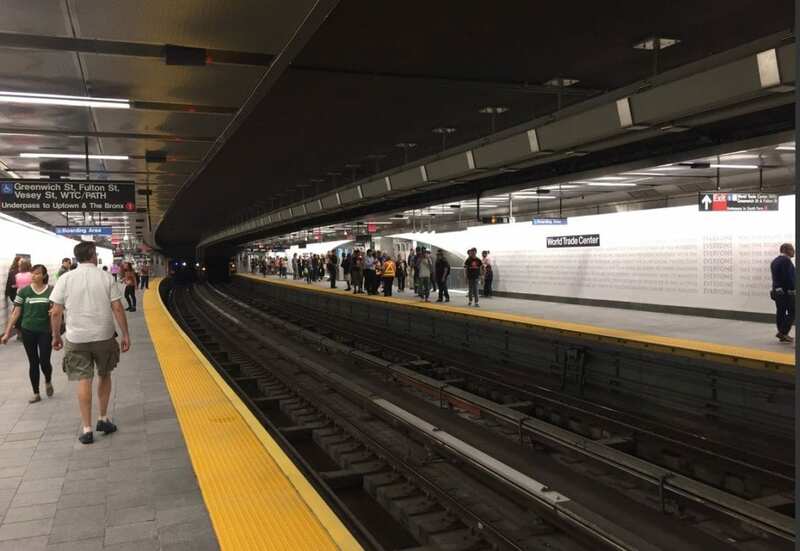 The subway station on line 1 was opened in New York Manhattan on Saturday. It’s more than a reminder to tourists, but even more to the people of New York, to Human Rights and a demand to governments to respect such rights. For the first time since the morning of September 11, 2001, 1 trains are stopping here at Cortlandt St in Manhattan. 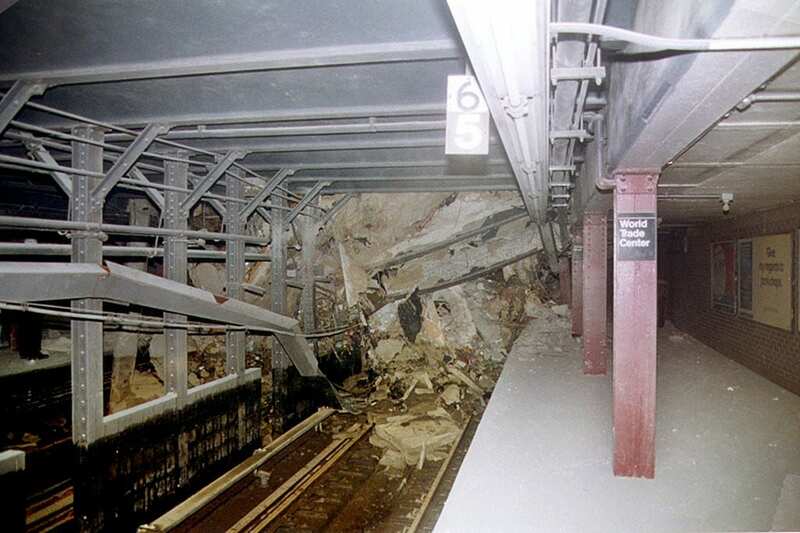 The station, now named “WTC Cortlandt” reopened at noon today. It has taken 17 years, but the 1 train’s Cortlandt Street station is finally open. There’s a lot new at the station — including the name. Andrew Siff gets an exclusive look inside. Weaving is the symbolism behind the $1 million art project being designed for the Cortlandt Street station by Ann Hamilton, who was chosen by the Metropolitan Transportation Authority Arts and Design program. Ms. Hamilton, 58, a professor of art at Ohio State University in Columbus, creates large-scale multimedia installations. 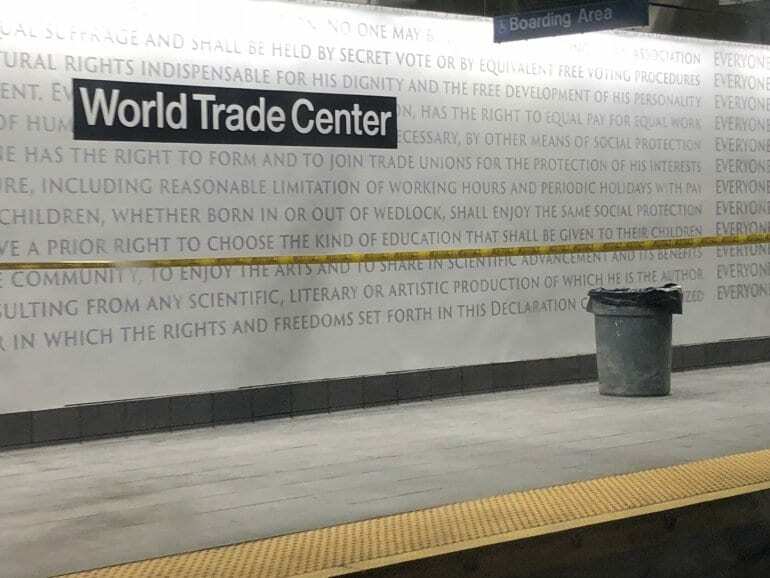 The basis for the words filling up the New York Subway station is a timely reminder of human rights and taken from the Universal Declaration of Human Rights.